I’m thrilled to welcome Chris Baron to the MG Book Village today. Chris is here to reveal the cover of his debut novel, ALL OF ME. Written in verse, ALL OF ME is, among other things, a story about a boy who’s bullied because of his weight — an issue I’m glad and grateful is being written about more often as of late. Check out my interview with Chris below, check out his book’s exquisite cover art, and check out the handy links at the bottom of the post — including one to help you preorder Chris’s book from Mysterious Galaxy, his local indie. 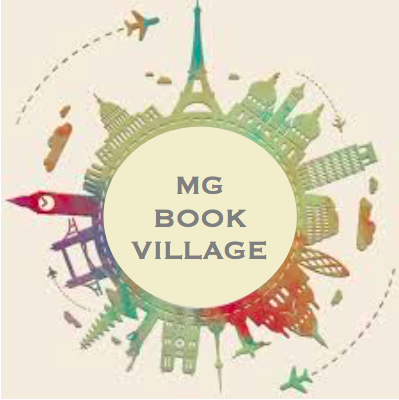 This is your first time here at the MG Book Village. Would you care to introduce yourself to our readers? Hi everyone, my name is Chris Baron! I am so thankful to be here at MG Book Village! This place has been such an inspiring and welcoming community. I am an MG author, poet, and I have the privilege of working as a professor in the English Department at San Diego City College where I get to be the director of the writing center! I love my job–it’s the most diverse campus in San Diego, and my students inspire me every day. Probably my most important job is husband and father to my own 3 MG-aged kids. MG books have been pivotal in my life–from reading Bridge to Terabithia to Narnia and Middle Earth, books have always been there for me even in the most difficult times! You’re here to reveal the cover (and new title!) of ALL OF ME, your debut Middle Grade novel. Can you talk about your journey to writing this book, and to storytelling for Middle Grade audiences? Thanks! Yes. The new title for WEIGHT is ALL OF ME! I have been waiting for a long time to reveal that! More on the title journey later. I actually have the privilege of collaborating on a really fun, longer article for MG Book Village about this journey with two other MG authors, Josh Levy and Rajani LaRocca, about our adventures as a lawyer, a doctor, and a professor writing MG books, so a shorter answer for now is about seeing the passion for stories grow in my own kids. They want to be transported into magical worlds, but they also love to hear about anything we can tell them about growing up—the want “all the real stuff” (sometimes way too late after bedtime). “Fat kids don’t have girlfriends. not even in third grade. The audience laughed with relief, but I remember looking out and seeing a good friend of mine, a pretty amazing YA writer who would later become one of my greatest supporters, looked at me wide-eyed from the crowd. After the reading, he ran up to me, grabbed me by the shoulders and said, “Dude, you have got to write a Middle Grade Book!” I read Jacqueline Woodson’s BROWN GIRL DREAMING, and he gave me a stack of other books to read, and then I read everything I could find. My journey was launched! I took a sabbatical from work, and started writing WEIGHT in the late night hours, in the early mornings, wherever I could find the time. And now, here it is as ALL OF ME, and I couldn’t be happier! Let’s get to the book itself. Tell us about ALL OF ME. Sure, yes. The short version: Set in San Francisco, it is the story of Ari Rosensweig, an overweight, seventh grade boy who loves cryptozoology and role-playing games. Ari is tired of being bullied and letting his weight define him. His parents’ marriage is struggling. They are too busy to focus on his life, much less help him with his already late bar mitzvah, and things take a turn for the worse. Ari’s mother, a painter and sculptor, decides to open an old gallery at the beach that summer. She puts him on a diet, and with the help of some unexpected friends, he tries to make a change physically, but that’s only the beginning of their adventures and the real change that comes. As a kid, I was bullied for my weight. And in the books I read at that age, overweight characters seemed to be included exclusively for comedy relief. I know I would’ve loved to have found a story like Ari’s back then. What led to you telling it? I am so sorry that you had that experience. I know this story well. I lived it myself, and I think that’s part of why I want to tell this story. Overweight kids are often left out of the story. My first memory of being bullied about my weight is so strong. I grew up in Manhattan, and I remember the cold air on the playground and the hum of the dodgeball hitting me in the stomach, and the voice of the kid, laughing, “Fatboy probably didn’t even feel it.” The ball hurt when it hit, but I remember being much more hurt by his words. So I shook off my tears, and I just laughed along with them. Sometimes this might be the right thing to do, but the name-calling continued, and I started to believe what they said about me. I think that’s part of it. As kids, we so often take on the identities that others attach to us–even if they are not the most positive. I really needed someone at that time to tell me that I didn’t have to listen to them, or believe what they said, or I could get help, whatever that meant. But your point about comedy relief is really interesting. I love comedy relief as much as anyone, but there is no reason why overweight kids can’t also be heroes of the story. I wanted to tell a story of a character who experiences real life challenges and learns how to be confident, healthy, brave, and have authentic self esteem, and at the same time be vulnerable (and have comic relief). Like you mentioned, a story that I would have loved to have found as a kid. ALL OF ME is a novel told in verse — a form that has in recent years been growing increasingly popular in kid lit. Why do you think that is? I will say that so many kid lit authors have incredibly poetic, lyrical lines in their prose, so the gap isn’t always that wide. I think that poetry speaks to the heart. We see with more than just our eyes, and the music of poetry helps to make words sing directly to us. Poetry relates to all kinds of readers. There is space on the page, measured breaks, pacing, music, and movement of lines that a reader of almost any level can find their way into. The structure of verse creates an intimacy with a reader that allows them to hear the tone and cadence of a character’s voice. This can create even stronger connections for readers. What do you hope your readers — in particular the young ones — take away from ALL OF ME? I love this question: I want to shout something like self-confidence! Hope! Adventure! But I am also embracing the “I don’t completely know yet.” I am so excited to hopefully visit some schools and find out what kids take away from the book. I am working with some incredible classes right now as a part of the #KidsNeedMentors program, and I am looking forward to asking the kids what they take with them when they read the book. I do know this though: I want kids to see some part of themselves. I hope readers will learn about empathy and kindness for others, Jewish culture and tradition, but also faith in general, overcoming struggles with body image, friendship, taking risks, and learning more about being brave and being themselves no matter what. I hope readers, especially the young ones, will know that if they are going through difficult things like the characters in the book, they will know that they are not alone. All right — now that we know all about you and your upcoming book, let’s talk about the title change and check out cover. Did you play a part in either of these processes? This book has had so many titles through the drafting process. But when I went to query it, I used WEIGHT, which I love–but through the course of revising and editing with my incredible agent Rena Rossner and editor Liz Szbala, we realized that the book is about so much more than what the title WEIGHT suggests about the story, so after hours and hours of brainstorming it transformed into ALL OF ME! What was your reaction when you first saw the cover? I was teaching a creative writing class, and during the last 10 minutes, the students were working in groups. So I checked my email, and I saw the message from my editor. In my head, I told myself, Stop! Wait until later! But my heart and hands had other ideas. I clicked it immediately. There it was. I choked up right away, and I couldn’t hold back tears. Some of my students noticed, but I think I managed to keep it together as they smiled and walked out. Thankfully, my wife teaches at that time just down the hall, so she came to look, and we had tears together. The light, the colors, it’s extraordinary. The cover artist is the incredible Chris Sheban! I LOVE it! What a powerful, moving image. I love how it captures his strength and celebration of himself in the face of what life has thrown at him. Many of our site’s readers are teachers of Middle Grade-aged kids. Is there anything you’d like to say to them — especially those planning to add ALL OF ME to their classroom libraries? Yes! Thank you for the work you do! I just want to be a part of the community, so please let me know how I can help–whether that’s a school visit, or letter writing, or a study guide, a reading, or even if there is just a kid who might have a question. I want to be available the best I can be. Thank you. ALL OF ME will be out June 11th from Feiwel and Friends. You can find preorder links on Amazon, Mysterious Galaxy Bookstore, Barnes and Noble, Macmillan, and all the usual places. Chris Baron’s Middle Grade debut, ALL OF ME, a novel in verse from Feiwel & Friends/Macmillan, is coming June 2019. He is a Professor of English at San Diego City College. Baron has published numerous poems and articles in magazines and journals around the country, performed on radio programs, and participated in many readings, lectures, and panels. He grew up in New York City, but he completed his MFA in Poetry in 1998 at SDSU. Baron’s first book of poetry, Under the Broom Tree, was released in 2012 on CityWorks Press as part of Lantern Tree: Four Books of Poems (which won the San Diego Book Award for best poetry anthology). He is represented by the amazing Rena Rossner, from the Deborah Harris Literary Agency.